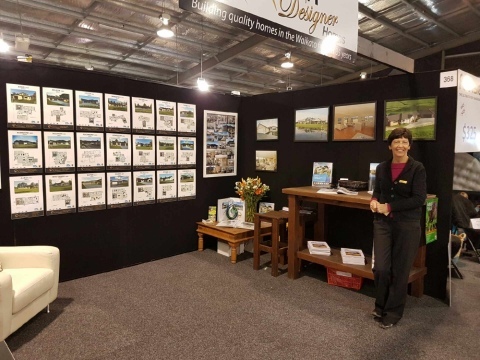 All set up and ready to go at this years Waikato Home and Garden Show, Claudelands Event Centre, Hamilton 6th - 9th October 2016. Call in for a chat about building your Designer Home with Irene, Blair, Kowhai and Doreen. We have new plans to view and plenty of photos of our updated completed builds on display. See you there, stand 368 in Brooklyn Court.